Eric Dubin first gained national acclaim when he obtained a $30 million wrongful death jury verdict against actor Robert Blake. In 2015, Eric obtained a massive landmark jury award in Orange County, carving a brand new path around the MICRA cap. Among his numerous awards are Top 20 Lawyers in California; Top 100 Trial Lawyers in America; Best Lawyer in Orange County 2013; Lawyer of the Year Los Angeles 2016, Super Lawyer, and Best Law Firms in America. Eric has published two books: Beyond Reasonable Doubt, co-authored with Larry King, and The Star Chamber: How Celebrities Go Free and Their Lawyers Become Famous. He is a legal analysis for ABC News, and been featured hundreds of times on TV shows and newspapers around the world. Eric received prestiges profiles on the cover of both the LA Times and OC Register, and In 2016 he was awarded the Hero of Hope Award. 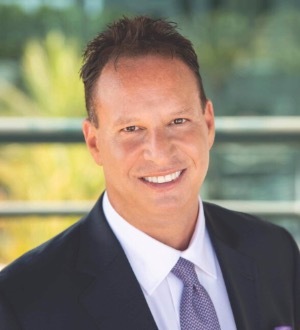 in 2019, he was named Lawyer of the Year in Orange County for Plaintiff personal injury.